Sonoma Developmental Center (SDC) is the oldest facility in California established specifically to serve individuals with developmental disabilities. It opened to 148 residents on November 24, 1891, culminating a ten-year project by two northern California women who had children with developmental disabilities, then referred to as feeble-minded. Private owners donated the land for that purpose. Since then the facility at Eldridge has undergone four name changes and has expanded several times. 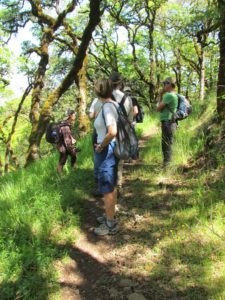 As anyone who has hiked southeast from Jack London State Historic Park will know, you can now clamber down through the orchard once used by and for SDC clients. But it almost wasn’t so. 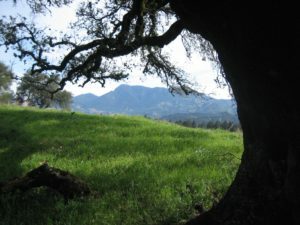 In the mid-90s the state decided that the farm on the upper acres could no longer benefit the increasingly infirm residents, so the old orchard and other upper wooded areas, reaching to the ridgeline of Sonoma Mountain were declared surplus property to be sold for any purpose. One local vineyard owner sought the land for grape growing with some proceeds dedicated to support the disabled. In February 1996, over 200 citizens attended a meeting chaired by then state senator Mike Thompson and organized by SMP. 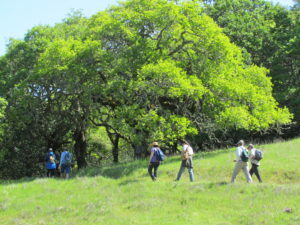 A strong majority of attendees supported keeping the lands in its current state and adding them to adjacent Jack London Park. 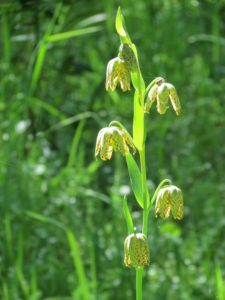 For the next five years local and state agencies planned, re-planned and re-thought options for the more than 600 acres. 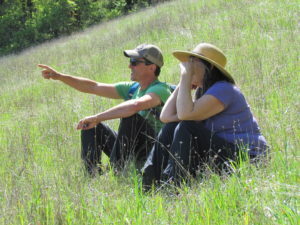 In addition to Thompson’s office and SMP, the county Open Space District got involved. 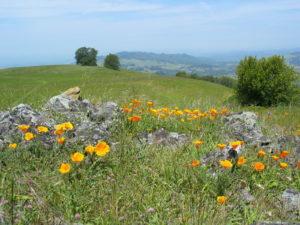 Eventually the state moved from advocating the sale for vineyard use to sale for multiple purposes (including housing) to, ultimately, transfer of the entire acreage to the state Parks Department for expanding Jack London Park. SMP veterans advocated vigorously throughout this time for the open space option. In 2001, thanks largely to then Assembly member Pat Wiggins, negotiations between state agencies got underway and reached conclusion with SMP members, among others, at the table. Isn’t it time to take a walk? 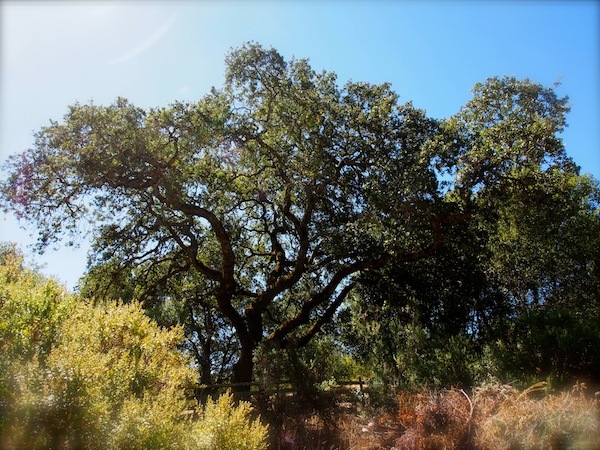 The addition of over 600 acres to the Jack London State Historic Park was the culmination of a seven-year effort led by Sonoma Mountain Preservation (SMP). 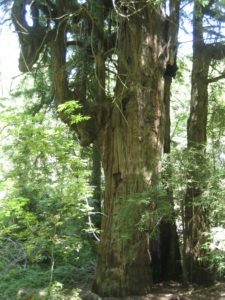 The transfer of the two upper western parcels of the Sonoma Developmental Center (SDC), which increased the Park’s acreage by over 40 per cent, was celebrated on September 5, 2002. The future of these parcels first came into question in 1995 when the California Department of General Services (DGS) declared them to be surplus to the needs of the Center. 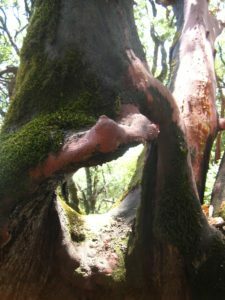 SMP organized a public meeting in February 1996 to discuss the disposition of these ecologically important lands, which, under proposed legislation, would be available for vineyard development. Over 200 citizens attended this meeting and voiced an almost unanimous opinion that the parcels should be maintained in their natural condition and added to the Park. 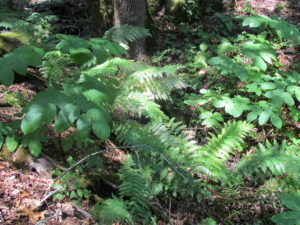 The legislation was amended to include an option to sell or exchange the two parcels in a transaction that would result in their becoming part of Jack London Park. 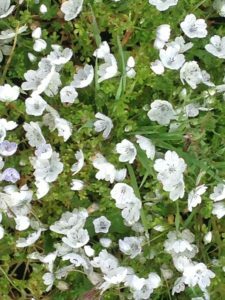 The following year the Sonoma County Agricultural Preservation and Open Space District (OSD) chaired a public meeting where once again public settlement remained the same: open space for the two parcels. In Sacramento DGS continued working toward an agricultural lease on the lower parcel which included the “old orchards” and the old growth redwood tree. 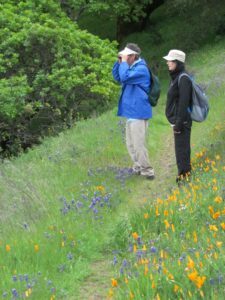 In January 1998 a break-through came when the Sonoma County Board of Supervisors approved OSD’s purchase of a forever-wild easement over the upper of the two parcels as a coast of $255,000. At a public meeting in January 1998, attended by over 250 people, there was again opposition to an agricultural lease over the lower “old orchards” parcel. In the fall of 2000, an environmental consultant contracted by the DGS began work on a two-year land-use feasibility study for the “old orchards” parcel, which could have resulted in a multiplicity of suggested uses and opened the way for intensive agriculture, and possible sale of house sites below Fern Lake. By December, DGS had reversed its position to concentrate solely on the conversion of “old orchards” to vineyards. 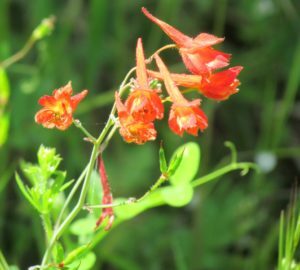 In February 2001, with tremendous effort by legislative members Wiggins, Nation and Chesbro, transfer of the two parcels to Jack London State Park became the goal. By June 2001, the land-use feasibility study concluded that the State Park would be the optimum organization to have control and oversight over the lower parcel. 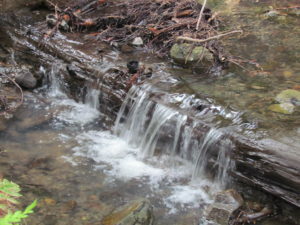 The study cited the Park Department’s ability to protect both the watershed and historical and natural resources of the land. The transfer of the two parcels to Jack London State Historic Park took place. 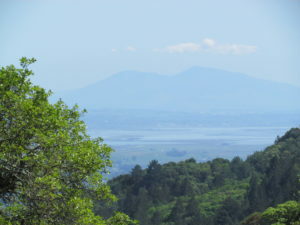 In August 2002, the Sonoma Ridge Trail, a segment of the Bay Area Ridge Trail system, was dedicated on the upper of the two transferred parcels.